In 2010, a group of mental health professionals attempted to include Olfactory Reference Syndrome (ORS) in the American Psychiatrist Manual of Mental Disorders as a delusional condition, and MEBO confronted them with a emboldened debate presenting the lack of scientific evidence to support this diagnosis. As a result of this discourse, the American Psychiatric Association (APA) listed ORS in the Appendix for Further Research, as opposed to the more serious classification originally sought by some in the mental health field. It is now classified as “an Obsessive Compulsive Spectrum Disorder with a strong anxiety component. As such, it belongs in the new Anxiety and Obsessive-Compulsive Spectrum Disorders category.” This classification now calls for mental health therapy for body odor and PATM sufferers to be focused on treating the anxiety and obsessive-compulsive disorder that comes with having these conditions in order to help sufferers become functional members of society. The whole concept of ORS totally dismisses the fact that the human olfactory system ranges widely from being anosmic to hyperosmic. ORS also completely dismisses the reality of the range between hyposensitive to hypersensitive responses of the immune system to chemical allergens emitted from the body. For many years, Olfactory Reference Syndrome has been considered to be a psychiatric condition that labels the patient as being delusional with a persistent false belief and preoccupation with the idea of emitting body or breath odor. This diagnosis has also been applied to patients who are convinced that they are emitting a chemical that may even be odorless to some people they come in contact with, which cause them to have an allergic reaction. These people call themselves, PATM sufferers (People are Allergic To Me). body odor concerns are understudied and not very well understood at this time...We are very hopeful this will lead to a collaborative effort that will help us all better understand the varying types of body odor concerns and those who suffer. A delusional disorder is someone who has absolute conviction, they're 100 percent convinced that they are emitting an offensive body odor," said Jennifer Greenberg, a clinical research fellow at the OCD and related disorders program at Massachusetts General Hospital and Harvard Medical School. While many delusional patients are treated with antipsychotics, Greenberg said, "What we are starting to think more about is that the disorder presents like disorders that are closer to obsessive compulsive disorder. "ABC News article on ORS"
The whole concept of ORS totally dismisses the fact that the human olfactory system ranges widely from being anosmic to hyperosmic. The questions that need to be addressed are, “Do they smell me or not?” and what would a patient's metabolite panel of tests, which still needs to be scientifically developed, look like? The answer is far from being clear cut. ORS also completely dismisses the reality of the range between hyposensitive to hypersensitive responses of the immune system to chemical allergens emitted from the body. In other words, the diagnosis of Olfactory Reference Syndrome has absolutely no scientific basis whatsoever without diagnostic testing of the patient’s levels of certain odorous metabolites. As a result, an ORS diagnosis results in additional serious mental trauma to the patient who may already be suffering from any of the five major types of anxiety disorders resulting from incongruent social responses, such as Generalized Anxiety Disorder, Obsessive-Compulsive Disorder (OCD), Panic Disorder, Post-Traumatic Stress Disorder (PTSD) and/or Social Phobia (Social Anxiety Disorder). This blog has addressed the issues surrounding an ORS diagnosis in 12 posts thus far depicting the dichotomy sufferers have to deal with on a daily basis in which some people argue that a sufferer is not emitting odor at any given moment in time, while at the same time, others express that they are offended by the odor they detect from the same individual. This constant bombardment of inconsistent social feedback makes everyday life a torturous ordeal. Eventually as a result of having to face this constant inconsistency, the sufferer develops a profound sense of loss of control over his or her life and develop anxiety and depression. Unfortunately, since there has been very little funding for research into odorous metabolites that may become elevated at any time throughout the day of a sufferer, triggered by diet, stress, hormonal changes, genetic metabolic deficiencies, gut microbial composition, etc., science and the medical fields do not really have evidence of whether or when their patient is indeed having intermittent odor episodes or elevated odorless chemicals.... 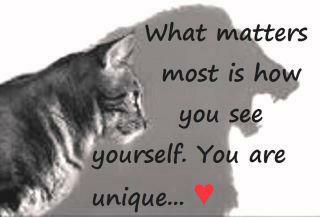 There are no diagnostic tests developed for them to arrive at a scientifically based diagnosis. The unfortunate result of this ignorance and for lack of a better option, the sufferer is currently branded with the diagnosis of Olfactory Reference Syndrome (ORS). Consequently, when giving this diagnosis, the mental health therapist simply assumed, without any scientific evidence supporting that indeed the patient does not have elevated levels of chemicals, which are emitted by the body’s cleansing organs in the breath, skin perspiration and oils and urine. However, unfortunately, due to profound ignorance in the scientific and medical field regarding these conditions, the patient has been incorrectly branded with a diagnosis that falls in the realm of psychosis. The therapist simply appears to be blinded to the primary anxiety disorder syndrome the patient is manifesting because the therapist is uninformed about body odor, halitosis, and PATM conditions. As the patient’s anxiety disorder escalates, it seriously disrupts his or her ability to function at work, at school, socially, and in family life. It utterly destroys the patient’s life, and the mental health therapist just sealed the deal with a devastating and damaging diagnosis that could arise at any time in the patient’s future raising doubts about his or her mental sanity and mental capability to be able to hold certain types career choices. 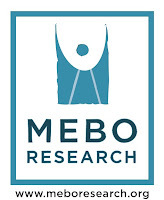 Through the years, it has been MEBO’s most ardent commitment to continue to pursue research funding in an effort to carry out extensive clinical trials to identify the metabolites in body odor, halitosis, and PATM sufferers, not only to completely expunge the validity of ORS, but to then find the proper treatment protocol to correct the conditions, so that patients will no longer have the real social consequences that caused them to develop the anxiety disorder to begin with. So far, MEBO has carried out three clinical trials registered with clinicaltrials.gov, with interesting preliminary results that suggest further research is absolutely called for. It is MEBO’s Mission to continue in the pursuit of this line of research until proper treatment and a cure is arrived at.